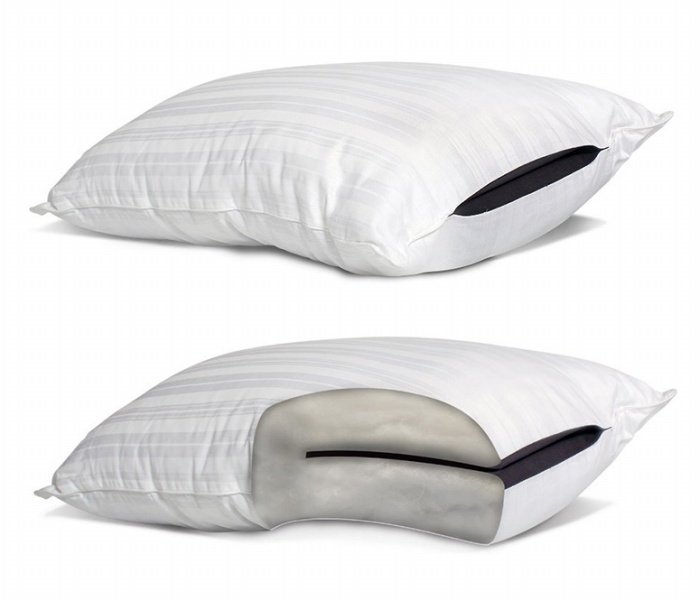 Hide Prized Possessions (And Sleep On 'Em) With the Privacy Pillow | OhGizmo! Do you have stuff that you don’t want anyone else to see? Whether it’s your diary or a secret video or an engagement ring, no place is ever safe enough–especially when you know other people might snoop while you’re snoozing. A worthy alternative to getting a safe? The Privacy Pillow. It’s an uber-comfortable pillow that has a secret compartment on the inside that can fit an assortment of stuff. Stash whatever you want into the leather compartment, close the clasp, and sleep on it. Just make sure not to let anyone else sleep on your pillow, else they might poke around and notice that there’s more to it than just cotton and down. The Privacy Pillow is available online for $29.95. It is interesting idea. Keep something very secret so that other people don’t know. In the old days, storage is only put under the pillow. However, this offer is a better concealment and modern. This is really maintaining the confidentiality of a person’s property. Very nice.